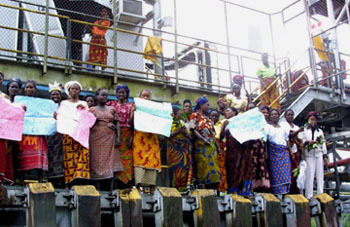 Gharamatu women occupying a Chevron oil flow station in Makarava in the Niger Delta July 21, 2002. [The] U.S. Department of Defense just announced the establishment of an African military command—AFRICOM—to spearhead an “oil and terrorism” policy, which will oversee the deployment of U.S. forces in the area and supervise distribution of money, materiel and military training to regional militaries and proxies. Pentagon analysts and generals claim that vast “uncontrolled spaces” in Saharan and Sahelian Africa, which are said to include large portions of northern Nigeria, are rife with terrorists seeking to damage the United States, even though the evidence for such claims is woefully thin. … the United States is relying on increased oil production from the African Oil Triangle [Gulf of Guinea] to reduce its dependence on Middle East petroleum, but could replace one set of insecurities with another. In fact, militarization by the United States will exacerbate an already tense situation in Nigeria and other parts of the Oil Triangle without having any effect on terrorists. Only a concerted effort to support Nigeria’s democratic forces and legislative oversight of the country’s presidency can ensure American and the region’s security, and quell wholesale theft of oil revenues as well as the insurgencies, criminality and social banditry now rampant in oil-producing areas. In the Niger Delta the US is trying to label as terrorists the indigenous people who are battling for some control over their land and their own resources. HTS, Human Terrain System personnel have already been deployed in Iraq. And the HTS project is very much on the agenda of the DoD, and the contractors that are targeting AFRICOM for their next paychecks and opportunities. The U.S. military’s HTS project places anthropologists, as contractors with the U.S. military, in settings of war, for the purpose of collecting cultural and social data for use by the U.S. military. The AAA has described participation in HTS as a violation of the AAA code of ethics, a danger to the anthropologists, and to the people they study. According to sources, United States Army brigade commanders privately believe that the US Army Training and Doctrine Command’s (TRADOC) Human Terrain System (HTS) program is a joke and completely unnecessary. The HTS program is publicly supported by brigade military commanders, and Secretary of Defense Robert Gates, only because it is a pet project of the currently politically popular US Army General David Petraeus. BAE Systems, the prime contractor on the project, has repeatedly been pressured by the HTS program manager and his staff to hire individuals who are not field-experienced ethnographers/anthropologists, but rather Google-fed political and social scientists. These HTS people are not qualified, not properly trained and prepared, and can therefore pose a danger to the soldiers they are assigned to work with. Key questions remain open. What’s the role of a civilian ethnographer/anthropologist working with the military in a combat zone? Is a civilian trained to respond to a threat without threatening the life of the team? Should they carry weapons and wear military gear? Are they there to enhance the kill chain, organize and facilitate sporting events, or examine trash dumps for behavioral patterns? What kind of data do war-fighters and negotiators really want? … War-fighters in the battlespace should not have to spend their time babysitting those who have an itch to play Army or engage in a proof-of-concept program that has, in one form or another, been behind every US attempt to colonize and/or subdue an intransigent population since the nation’s founding. The lead social scientist on the project went on a 7 month sabatical just as the project initiated. … multiple sources say that the HTS program is in the crash and burn phase. … Exceptionally qualified individuals were forced out of the HTS program for questioning management’s approach, ethics and decision making. … Another source, commenting on the HTS leadership said, “As usual, the FOBBITs [Forward Operating Base personnel who never leave the base] and REMFs [rear echelon mother f*%#@$’*] are in charge and the guys on the line are ignored. Who needs a combat veteran when you’ve got Google. … Program oversight, discipline and accountability have been virtually non-existent from the beginning, according to multiple sources. … Other sources said some HTS program personnel describe management as “war profiteers” who simply want to see the program continue no matter what the cost in lives or money. HTS looks like more “work” for Bush’s war profiteers, with the Bush trademark disregard for competence and results. But if the program were supported by the anthropological community, and if it was executed competently and efficiently, it still intends to “colonize and/or subdue an intransigent population”. And it involves invading and occupying sovereign countries. This is not a moral approach, and even if the morality does not bother the planners, the results should. For the US it will replace one set of insecurities with another, deplete and erase good will around the world, and damage the chances to acquire desired resources. The Herald newspaper, a [Zimbabwean] government mouthpiece, claimed that the main reason Botswana boycotted the summit was because it wanted to pull out of the regional grouping on the orders of the United States. It may perhaps be appropriate to examine what could be motivating Ian Khama to remain stubborn when the political landscape in Zimbabwe is shifting. Botswana has very close and historic ties with Britain and we can not be certain of the influence that 10 Downing Street still exerts in its former protectorate. Europe is Botswana’s largest trading partner; over 70% of export trade is directed to Europe. It would not be surprising if Botswana was acting to protect its own economic interests and not to offend the position taken by Britain. After all, it is bad manners to bite the hand that feeds you. Where does the US fit in to all this? In 1980, Botswana entered into a training agreement with US military — a commitment that it has sustained over the years. To date the development of the Botswana military has been sustained primarily through contributions from the US. Botswana had also recently expressed interest in hosting Africa Command (Africom), when the rest of the SADC countries were hostile to the idea of the US establishing military bases on their soil … Not only did Botswana express its interest, it went further and signed in 2003, under controversial circumstances, the so-called Status-of-Force Agreement (SOFA), a non-surrender pact defining the legal standing of US soldiers stationed abroad. Maintaining the military support received from the US is important to Botswana and Ian Khama, as a former army commander. Botswana, with a population of a mere 1.8 million, does not have sufficient men in boots to defend itself in case of a military threat. It would appear that Khama does not want to be seen to be showing the Bush Administration a middle finger. It may after all be a strategic rather than a principled position by Khama to boycott the SADC meeting, confident in the knowledge that a solution will definitely be found; while appeasing his masters and maintaining continued military support, as well as sustaining Botswana’s economic relationship with Europe. I doubt a truly workable deal will be reached in Zimbabwe anytime soon. But that does not necessarily negate the speculations about Botswana, its ties to the US, and potential for cooperation with AFRICOM. This boycott was a real change from Botswana’s foreign policy in the past, which generally was something along the lines of hear, speak, or say no evil about any country. Is Blackwater’s Erik Prince the next Viktor Bout? Blackwater is building its own air force, Presidential Airways, and looking to AFRICOM to expand its reach and operations. 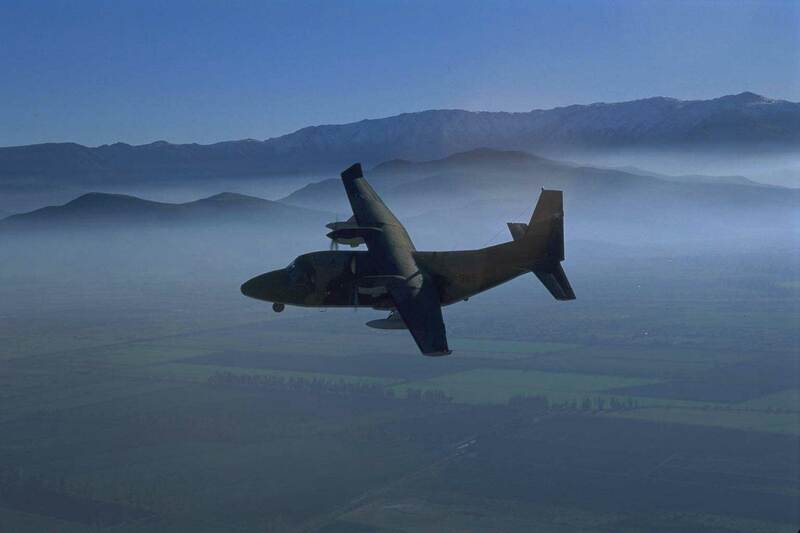 It has helicopters, the C-212 transport aircraft pictured above, and is acquiring blimps. As Africa Command stands up this fall, Prince said he foresees the potential for an even greater need there for his company’s aviation services. Setting up Africa Command has been pretty sensitive, evidenced by the Defense Department’s inability to find an African country willing to host the new headquarters, so connecting Blackwater and its controversial reputation could add to the anxieties. Both of Prince’s companies have become the focus of lawsuits, investigations and criticism from U.S. and Iraqi lawmakers as well as military leaders and troops on the ground. In addition to that Prince has proposed Blackwater as a peacekeeper and trainer of UN/AU troops in Darfur. And this has been promoted in the Wall Street Journal by none other than GW Bush’s speechwriter William McGurn in a July 29 oped titled “Mercenaries for Darfur”. David Isenberg discussed it in his Dogs of War column, reproduced in Middle East Times, Contractors vs. genocide? Finally, if the task is just to train AU forces, why would the United States not use its newly established Africa Command, whose mandate specifically includes building “capacity and capabilities among our African partners so that they are able to tackle Africa’s security challenges”? Bout was known to arm both sides of the same conflict. The U.S. government response to revelations of the use of Viktor Bout to fly for government contractors in Iraq (not just a few flights, but hundreds, and perhaps a thousand) has been mixed. Bear in mind most of these flights occurred after President Bush had signed an executive order making it illegal to do business with Bout, because he represented a security threat to the United States. The State Department, under a congressional inquiry initiated by Senator Russell Feingold, found it had used Bout companies, acknowledged it, and stopped. Paul Wolfowitz, while at DOD, did not respond to queries for nine months, then acknowledged that DOD contractors had subcontracted to Bout companies. Despite the public revelation, the congressional inquiry, the executive order, and a subsequent Treasury Department order freezing the assets of Bout and his closest associates, the flights continued for many months, at least until the end of 2005. The Air Force cut him off immediately, but other branches of the military continued to use him. … There is no doubt he has benefited from the schizophrenic policies of the U.S. government (the Treasury and State departments going after him, while DOD pays him money to fly), but it is difficult to say whether that is the result of calculation or just sloppiness. … Bout’s operations tell us that demand for important commodities, particularly weapons, is at a premium. He could arm different sides of the same conflicts because he was efficient and reliable. That is why they called him “the mailman,” because he always delivered. With the rapid proliferation of failed and failing states across the globe and the rise of religious and economic militias, guns have become a vital commodity. If the schizophrenic policies of the US allowed the DoD to employ Bout after a presidential directive made it illegal to employ him, how much more effectively can Erik Prince step into his shoes, with Prince’s Republican party connections and powerful lobbying arm. Prince has much more clout and many more friends in the US. Prince is well situated to become a newer and even more profitable version of Viktor Bout. And more profits in the contraband business mean more people dead and damaged. The demand for weapons and contraband is there. Thanks to the US War on Drugs and the Columbians, West Africa has become a transit point for drugs. And Blackwater is already ideally situated to participate in the drug trade from Afghanistan. There are many forms of contraband, including slavery, that a private air company could transport at great profit. And the rule for profiting in the air is never fly empty. Even if the company itself does not participate in this trade, Blackwater employees can easily participate on their own initiative. As we have seen in Iraq and Afghanistan, contractors can go out of control and are not responsible or accountable to anyone. 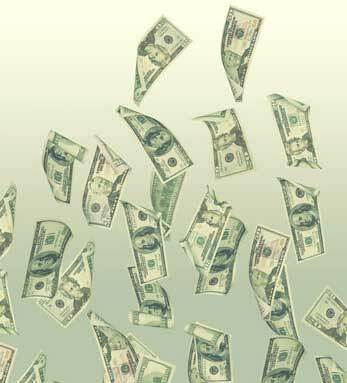 One result is huge sums of US taxpayer dollars have already disappeared. Though the rich world’s governments won’t hear it, the issue of whether or not the world will be fed is partly a function of ownership. This reflects an unexpected discovery. It was first made in 1962 by the Nobel economist Amartya Sen(2), and has since been confirmed by dozens of further studies. There is an inverse relationship between the size of farms and the amount of crops they produce per hectare. The smaller they are, the greater the yield. In some cases, the difference is enormous. A recent study of farming in Turkey, for example, found that farms of less than one hectare are twenty times as productive as farms of over ten hectares(3). Sen’s observation has been tested in India, Pakistan, Nepal, Malaysia, Thailand, Java, the Phillippines, Brazil, Colombia and Paraguay. It appears to hold almost everywhere. … If governments are serious about feeding the world, they should be breaking up large landholdings, redistributing them to the poor and concentrating their research and their funding on supporting small farms. But the prejudice against small farmers is unshakeable. It gives rise to the oddest insult in the English language: when you call someone a peasant, you are accusing them of being self-reliant and productive. Peasants are detested by capitalists and communists alike. Both have sought to seize their land, and have a powerful vested interest in demeaning and demonising them. In its profile of Turkey, the country whose small farmers are 20 times more productive than its large ones, the UN’s Food and Agriculture Organisation states that, as a result of small landholdings, “farm output … remains low.”(9) The OECD states that “stopping land fragmentation” in Turkey “and consolidating the highly fragmented land is indispensable for raising agricultural productivity.”(10) Neither body provides any supporting evidence. A rootless, half-starved labouring class suits capital very well. Big business is killing small farming. By extending intellectual property rights over every aspect of production; by developing plants which either won’t breed true or which don’t reproduce at all(14), it ensures that only those with access to capital can cultivate. As it captures both the wholesale and retail markets, it seeks to reduce its transaction costs by engaging only with major sellers. 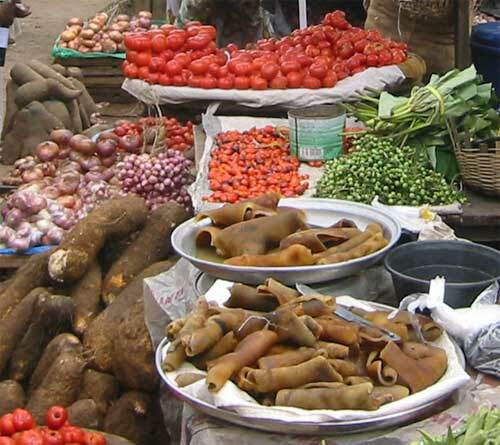 … As developing countries sweep away street markets and hawkers’ stalls and replace them with superstores and glossy malls, the most productive farmers lose their customers and are forced to sell up. This leads to an interesting conclusion. For many years, well-meaning liberals have supported the fair trade movement because of the benefits it delivers directly to the people it buys from. But the structure of the global food market is changing so rapidly that fair trade is now becoming one of the few means by which small farmers in poor nations might survive. A shift from small to large farms will cause a major decline in global production, just as food supplies become tight. Fair trade might now be necessary not only as a means of redistributing income, but also to feed the world. You can read the article Small is Bountiful. For those who wish to see the source material, the citations are listed at the end of the article. The United States Government and the Narcotics Control Board (NACOB) yesterday signed a Memorandum of Understanding (MOU) to create a facility within the Kotoka International Airport (KIA) to support counter-narcotics activities. Both governments – Ghana and the US – have agreed to build a 75,000-dollar climate-controlled facility to house drug detection equipment and personnel at the KIA to enhance processing of narcotic suspects. The project is a joint effort between the US Africa Command (AFRICOM), the US Embassy in Accra and the NACOB. The facility, when completed and fully operational is expected to amplify the ability of the NACOB and its partners to detect narcotics traffickers. Ghana has good and dedicated police. But they are not paid adequately to do the job of everyday policing, much less counter the influx of drugs and drug dealers from Latin America. Accra, July 21, GNA – Interior Minister, Dr. Kwame Addo-Kufuor Monday said Ghana’s campaign against the narcotics trade could be won “if we remain committed and dedicated to weeding out this potential nation wrecker”. Dr Addo-Kufuor said government had put in place structures to strengthen these agencies, including the NACOB, and was collaborating with major international players to ensure that they were well trained and resourced to make them effective and efficient in managing the problem. He said government was adept with the challenges of NACOB, including low staff salaries, inadequate budgetary allocation, inappropriate equipment, enhanced staff training among others and was taking steps to address them. The Minister said there was the need for a review of the law establishing NACOB to enable it to function effectively to meet international standards on laws governing narcotics and psychotropic substances. Note the line about collaborating with major international players. This was two weeks before the announcement of the MOU with AFRICOM. This worries me, as these sorts of agreements have been a tool the US has used to interfere with sovereign governments in the past, especially in Latin America. Ghana has a presidential election this year. There are already plenty of accusations and evidence of various illegal and unethical activities, including a lot of reports of the NPP padding the voter rolls. There are also a lot of reports of top NPP people involved in the drug trade, including rumors about their presidential candidate being an addict and a drug baron. However, the Bush administration seems to like dealing with Kufuor and his cronies, and Bush preferences and corporate welfare policies generally trump legality and ethics. Ghana could do a great deal more if it paid and trained the police and other government employees well, or even adequately. It would need a lot less outside “assistance” if it paid and trained well. A couple of comments on the article went to the heart of the matter. Author: Kwasi, UK: The drug trade is 500 billion industry.It comes after the oil business.Ghana or Ghanaians are target b/co they are vulnerable and nice people as well. What I mean is that Ghana economy is weak so the drug dealers can penetrate by a little bribe. Just imagine a police commander in-charge of a barracks taking $350.00 per month. Can such a person resist the drug dealers when he has school bills to settle? I met a young Policewoman who told me that she does not have a TV. Her monthly salary is around $70.00. It’s a said story, isn’t it? 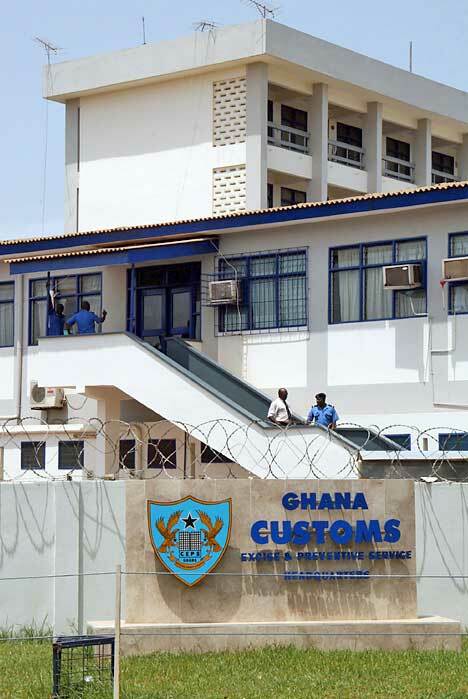 Can such a constable resist the drug dealers when they offer her $2,000.00 bribe for them to enter or cross the Ghanaian border? Author: Godsway: I ask, will dedication and commitment put food on the officer’s table. An officer at NACOB receives between 90-180 ghana cedis a month. How can he survive on this tiny skeletal meagre token to fight the drug war? Officers are neither security officers nor civil/public servants. They have not received any salary increment for the past ten years. At least, the Minister should make an attempt to place them on the right scale to receive the right remunerationfor their work. Addo-Kufuor’s remark about reviewing the law also makes me nervous. Will that be like the recent “reviews” in US law, such as the Patriot Act, that have gotten rid of those pesky human rights protections, the rule of law, and other democratic practices? Will the law establishing NACOB have to be revised to fit a military style of governing, consistent with AFRICOM? The US War on Drugs has been a failure for at least half a century. It started long before Nixon, as the article indicates. You can read a history of it here: How America Lost the War on Drugs. Thirty-five years after Richard Nixon launched the War on Drugs, the most promising ­programs continue to be shunted aside by Washington’s unswerving emphasis on law and order. Who else will the US be pushing around with AFRICOM in Ghana, and Ghana entering the oil business? AFRICOM: Includes a reduction of $308.4 million associated with U.S. Africa Command (AFRICOM). The reduction is taken from the amount requested to stand up a new headquarters due to the lack of a suitable location. The reduction does not effect funding for the current headquarters, exercises, counter-terrorism, or counter-drug programs. US Charge d’Affaires, Sue Brown, said the agreement was a “step toward strengthening the already significant level of law enforcement co-operation between the United States and Ghana” that would boost the country’s aptitude to tackling the problem of narcotics trafficking in the sub-region. She said without dedicated and active co-operation, it would be impossible to counter the threat from the narcotics trade, adding that the US remained committed to partnering Ghana face the challenge associated with the menace. Mr Ben Botwe, NACOB Executive Secretary, expressed appreciation for the support of the US government and said he was optimistic that the facility would advance the mission of the Board. What else the US will do with this facility is not discussed. But if history is anything to go by, and that includes Ghana & US history, it won’t just be a center to catch drug dealers.